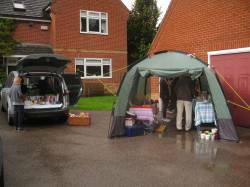 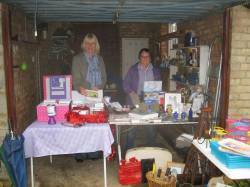 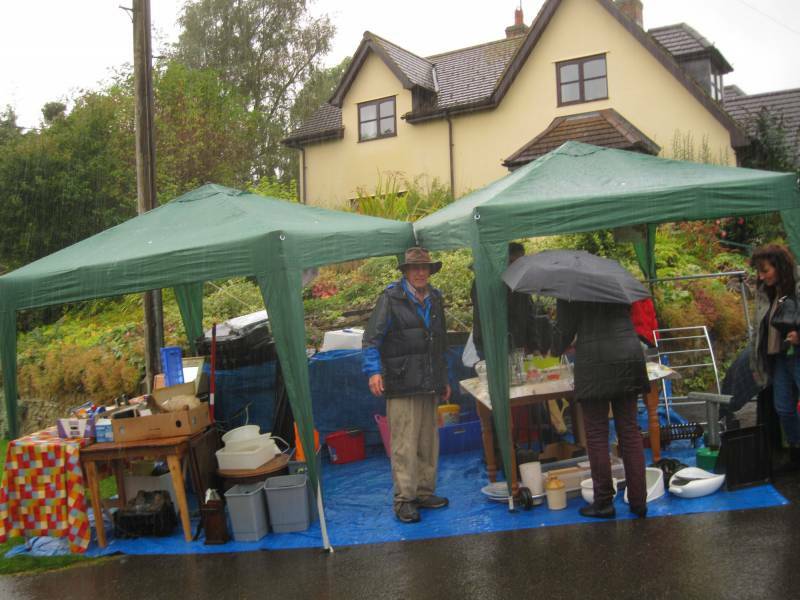 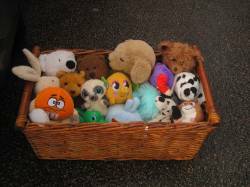 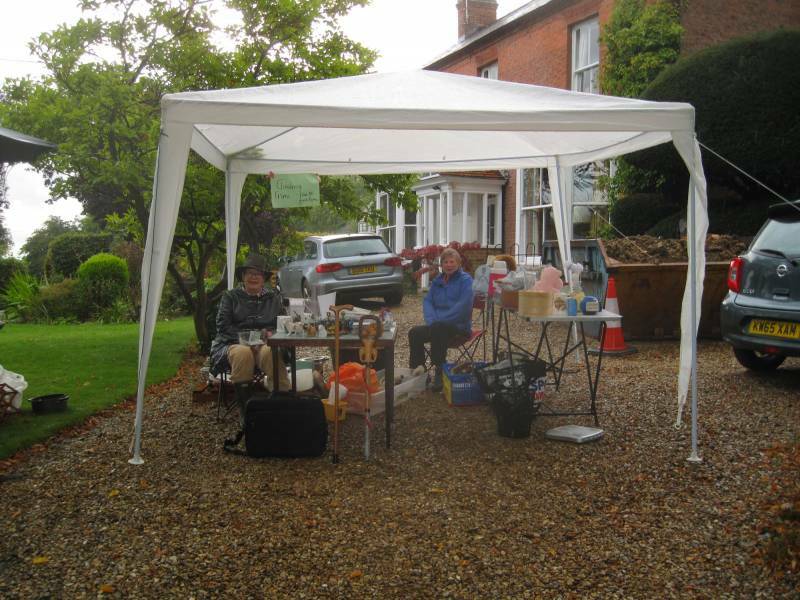 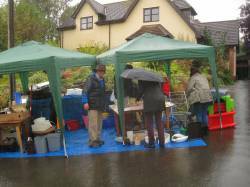 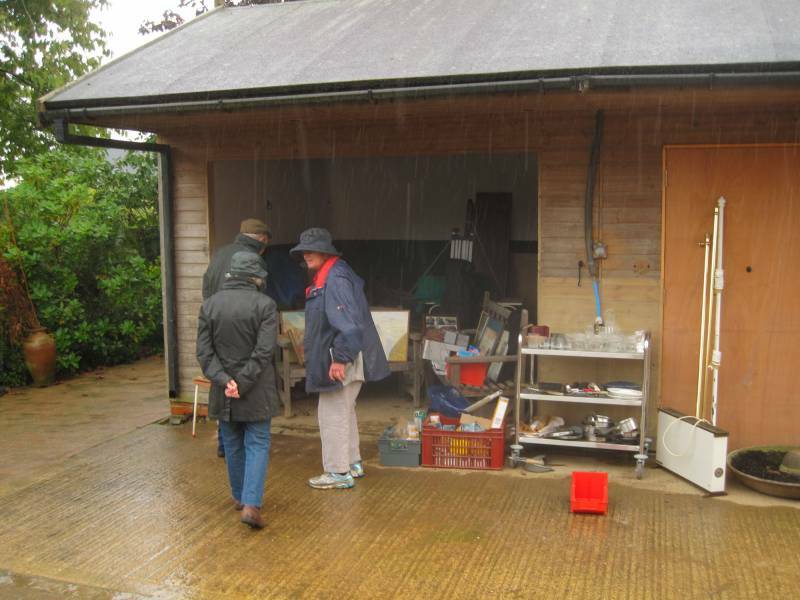 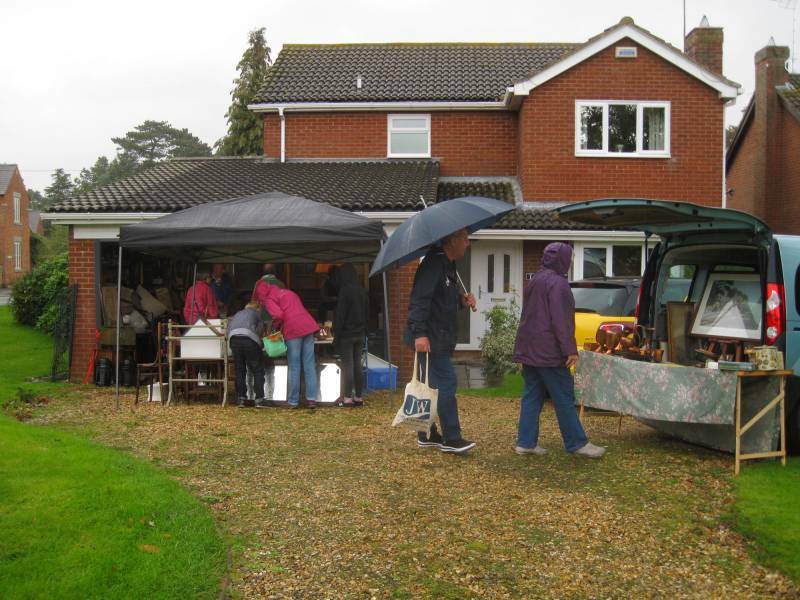 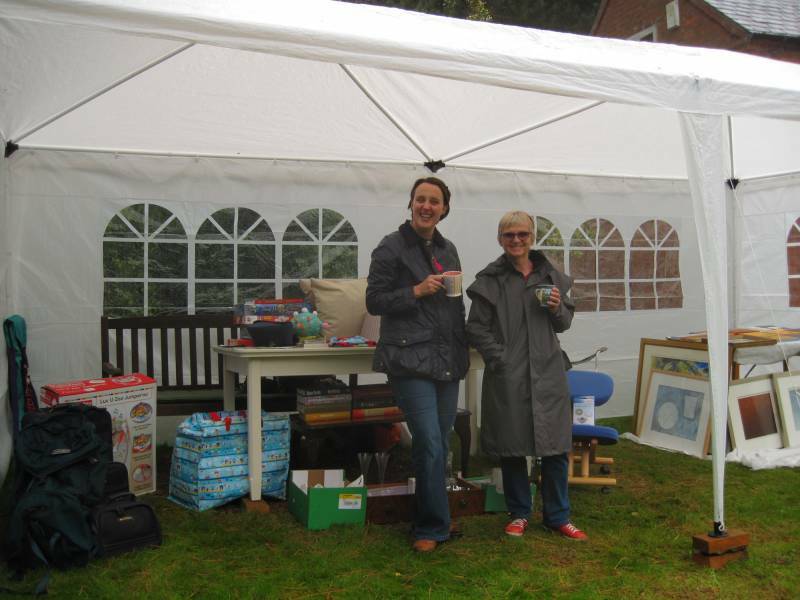 Clipston's great garage sale was all set with 16 outlets atound the village. 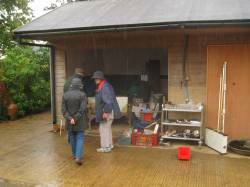 Unfortunately the weather was 'a bit wet' but there was still a lot of visitors who had also come for the 'Steam on the Green'. 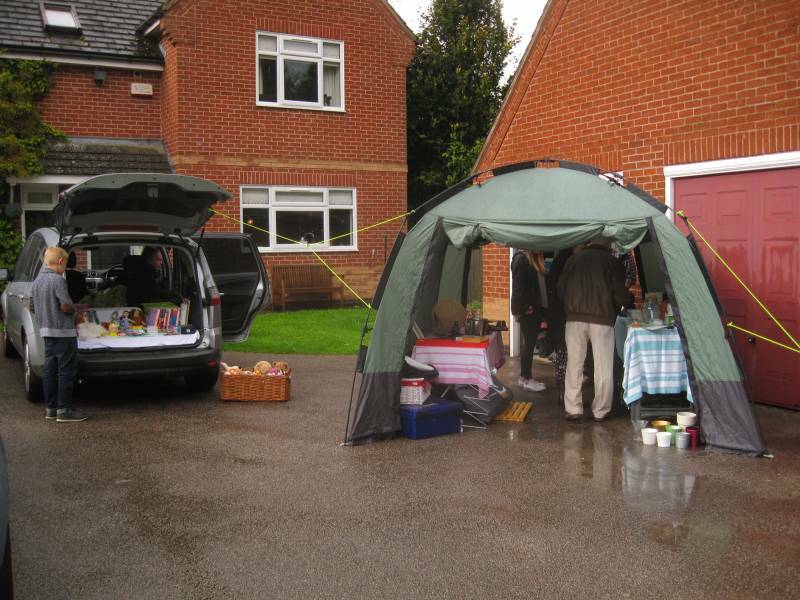 Overall everybody enjoyed themselves, a bit of garage clutter was sold on and it was reasonably profitable. 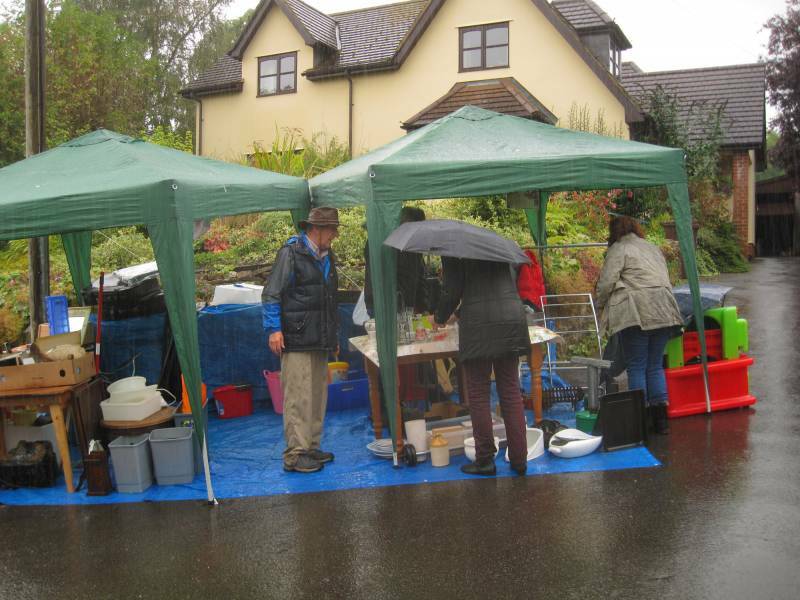 Could this become an annual event?